ALBUM REVIEW: BOB MOULD, "Patch The Sky"
There’s always a certain amount of expectations when a new release comes out from a long-established artist that you’ve admired over the span of time and I will grant you, it’s not always fair – certainly to the performer nor to yourself because, of course, you’re bound for a letdown sooner or later. Bob Mould is one of those musicians who I come to expect the unexpected from for a lot of reasons. Mostly because it isn’t fair. But what I do expect – if nothing else – is consistency. And on Patch The Sky, his 12th solo album, starting after Husker Du with two and resuming after Sugar in full, there is no lack of consistency, coherence and (I know this word gets used a lot when referring to Mould) catharsis. Of his more recent return to louder guitar/faster tempos, the sound and production of this album is possibly one of the best he’s done yet, so it shows at 55, he’s still reaching and stretching, rather than resting on his laurels or legend. Starting with “Voices In My Head”, yes, we’re on familiar turf – musically, it reminds me of “Too Far Down” and lyrically, he immediately turns inward and reflective but sandwiched in the analysis of what sounds like the conclusion of a relationship, there’s a glimmer of hope and resolution (“…I can play the victim or get on with life instead…”). Similarly, on “The End Of Things”, while the theme of that ended relationship is lyrically bleak (“It’s your birthday but we never celebrate…”), the music is buoyant enough to offset the sadness of the words – and as usual, you can hear the powerhouse rhythm section of Jason Narducy’s bass and Jon Wurster’s drums lifting this track to an even higher plane. And on “You Say You”, Mould sounds like his old Sugar-era self, with a catchy melody, neatly planted background vocals and harmonies. The return to another familiar theme – religion – is also prevalent (hearkening back to the Beaster E.P. ), most notably with “Lucifer And God” although redemption is a thread running throughout. Sadly, in the real life scenario, both of Bob Mould’s parents have passed away over the last few years – his mother died between Beauty And Ruin and this album – and certainly that must have to do with the dark nature of this record. But again, part of Mould’s mastery is that he can take the most gut-wrenching of lyrics and put a “poppy” spin on it, musically. “Losing Sleep” is a tight groove wrapped around a tale of illness (“…a hundred and five; temperature rise…”) and sounds like Mould breaking different ground once again, which is not an easy feat but as I said before, he never plays safe. Which in the final analysis is what it’s all about. 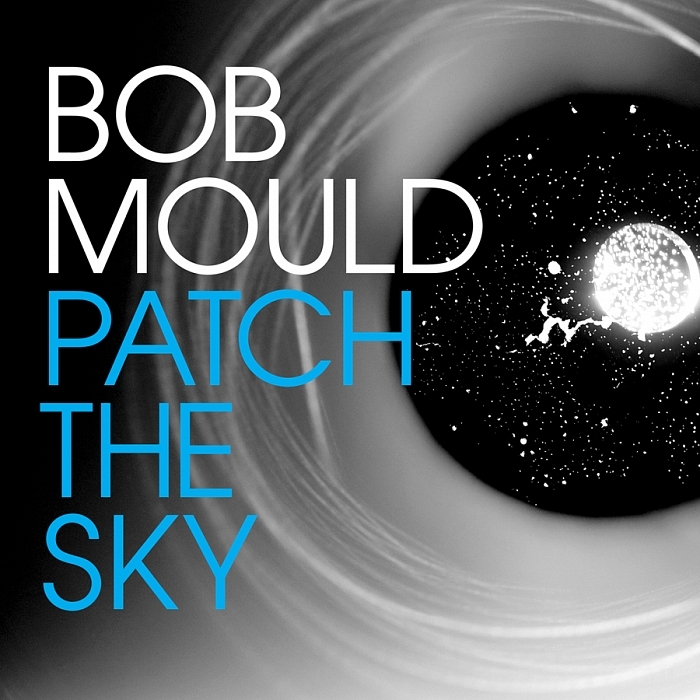 Patch The Sky is a fine, serious, thoughtful/thought-provoking album from Bob Mould. And being that he’s one of the few artists from that other age (i.e. my younger, other life) who will still put himself and his emotions on the line for all to hear, we can be grateful that he is still willing to do so. And the fact that taken just as what they are – songs – the gratitude goes a bit higher as the man is just that good of a songwriter.